Anglia Components has announced they now stock the most popular ranges of inductors from leading Taiwanese manufacturer Chilisin to help it gain growth in the UK market, following its appointment as distributor for the UK and Ireland. 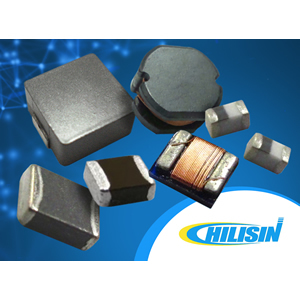 Chilisin is a rapidly growing global inductor manufacturer. It is a ‘one-stop shop’ offering a complete range of inductive components including power inductors and chokes, EMI suppression filters, general purpose inductors and RF inductors. Commenting, Jerry Kuo, COO of Chilisin said "We have enjoyed good growth in mainland Europe but feel the UK market is still an untapped market for Chilisin. Our decision to partner with Anglia is based on its excellent reputation in both customer engagement and engineering design support. Most importantly their knowledge of the UK market will help grow our share of the inductor sector." Anglia now stocks the most popular ranges of Chilisin inductors and will offer samples to support new designs. David Pearson, Technical Director, Anglia added "Chilisin has an exceptionally wide range of inductive solutions, with a particular strength in industrial, networking, power and LED Lighting applications. They bring Anglia a truly comprehensive offering, and are a very good fit for many of our customers. We are proud to have been chosen by Chilisin to help them build their UK business and look forward to helping our customers gain access to their inductors and get them swiftly designed-in." Established in 1972 at Hsinchu Taiwan, Chilisin Electronics Corp. started to produce ferrite core for domestic market with in-house powder mixing technology. Over the years, Chilisin has evolved into a world-class group through vertical integration and horizontal alliance. The worldwide service network provides efficient and timely technical support to leading customers. Chilisin product range keeps expanding to meet customer expectation on new designs. Maintaining self-sufficiency with in-house powder technology, and manufacturing with automated equipment, has enabled Chilisin to guarantee a short lead time and prompt delivery of products and services to application markets. Chilisin has become one of the few suppliers capable of providing a complete and reliable "one-stop shopping" experience globally. Targeting global markets, Chilisin is devoted to providing ample production capacity, complete international quality certifications, rigorous quality control, prompt technical support, and worldwide sales and service network for customers around the globe. By continuing to build new production bases, aggregating resources to cater to local market needs and leveraging corporate technological strength and complementary advantages, Chilisin can quickly respond to specific local needs and develop higher value-added passive products. Chilisin endeavours to make itself one of the world’s top three total solution provider, with the company’s spirits of Innovation, Quality, Speed, Cost and Flexibility.